In my previous blog, I wrote about SAP S/4HANA for the retail industry and how it enables retail companies to transform customer engagement in the process of digital transformation. The new digital core for retail sits at the heart of the SAP S/4HANA value framework and ties into all other components of SAP‘s retail portfolio. Let’s take a closer look at what is new in the SAP S/4HANA digital core for merchandise management. 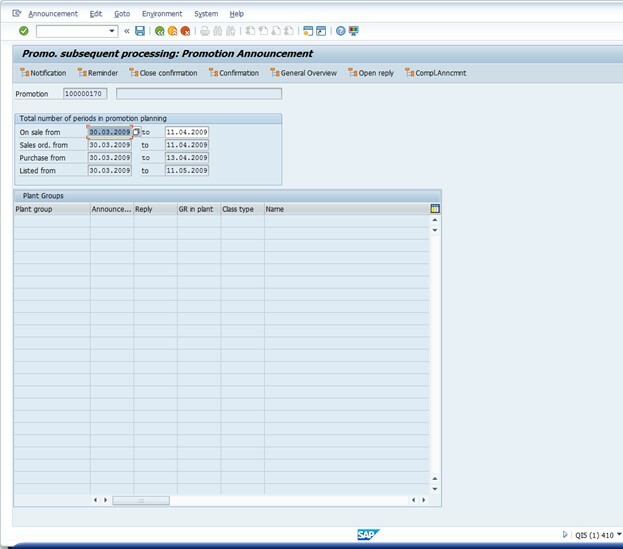 Retail processes in SAP S/4HANA use the simplified data models. An example is the elimination of aggregates in the area of Inventory Management, in order to accelerate the throughput, reduce the memory footprint, and also have faster and more flexible reporting based on only one source. Another example for the simplification of data models is the unification of tables like the universal journal, the logical interface to financials. It is also the basis for the determination of inventory values. We also started with first process simplifications. For example, the reclassification of merchandise categories – a topic on which we often heard feedback from our customers that they needed more flexibility – has now been simplified. With SAP Fiori, SAP S/4HANA end users benefit from a user friendly interface that directly helps increase user productivity. For selected key roles, the solution provides a role-based access to business transactions via SAP Fiori launchpad. This applies not only to SAP Fiori apps, but also to classic transactions (SAPGUI / WebDynpro ABAP). These transactions are then displayed with a “Fiori look and feel”, generating a common and improved user interface design experience across business processes and devices. It is planned to have all user interfaces eventually enabled for SAP Fiori launchpad. App descriptors help you find the classic transactions in the SAP Fiori launchpad. 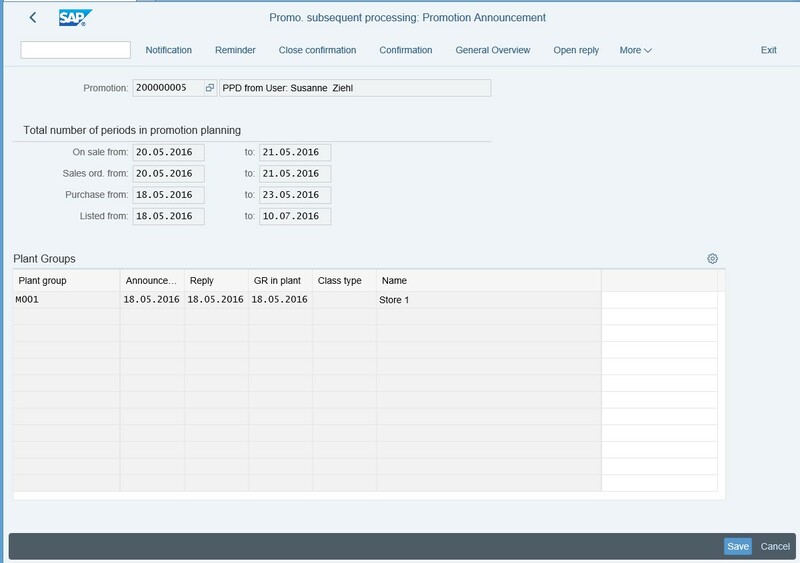 This is how the retail promotion transaction looks with the SAP Fiori theme for classical transactions. Most icons have been replaced by text descriptions. The labels are now aligned on the right hand side. A red border and an error message is displayed to visualize an error. There is a merged header as with SAP Fiori 2.0. Also, the tab strips have the same visualization as in SAP Fiori, and there is a footer bar with processing and closing actions like “Save”. All this is bringing a consistent and simple design across business processes and devices. New and improved SAP Fiori apps are available in SAP S/4HANA: One important new SAP Fiori app lets you maintain single articles and standard materials, using a harmonized user interface. Note that this is an important step also from a technical perspective, in addition to the improved user experience, to harmonize Retail article and material. Another example for user experience improvements are our SAP Fiori apps for merchandise and inventory processes that are now running in SAP Fiori 2.0. On the long run, the objective is to harmonize the concepts of standard material and retail article into a single concept of “Product”. The first steps to achieve this harmonization have been made with SAP S/4HANA 1610. The new SAP Fiori app for Retail article and material significantly streamlines the business process. In the current SAP S/4HANA release, this is restricted to single articles, enhancements to include features of the generic article are on the roadmap for upcoming SAP S/4HANA releases. In SAP S/4HANA 1610 you can already benefit from increased flexibility in the reclassification: The bundling of variant-creating characteristics has become independent from the merchandise category hierarchy. What has changed specifically, is the way the data is being stored. The variant creating data is now stored in the configuration or IBase. As a consequence, the generic article has turned into a form of configurable material from a data model perspective. This is a very important step for the harmonization of article and material. In this context, note that there are also some UI related changes in the maintenance for generic articles that help improve efficiency. There are a couple more implications for you as a customer. Conversion reports take care of the automated migration of generic articles and variants from SAP Business Suite to SAP S/4HANA. There are intelligent ALE scenarios for a regular data distribution not only between SAP S/4HANA systems, but also between a SAP Business Suite system and SAP S/4HANA. Finally, adjustments in the custom code will only be necessary in exceptional cases, for example when a customer has used hard-coded access to classification data. With SAP S/4HANA Retail for merchandise management, we have made significant progress towards the new digital core with retail as a function: The co-existence of retail with selected industries, enabling verticalized business processes for retailers as well as non-retail companies. Designed to help retailers meet the demands of a digital economy, the solution is at the core of a comprehensive suite of retail offerings. It is the market-leading retail merchandise management solution from SAP and fully leverages the benefits of SAP HANA. Looking forward meeting you at our next blog talking about the business view of Procurement for SAP S/4HANA 1610.